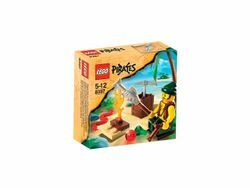 8397 Pirate Survival is a Pirates set released in 2009. 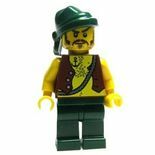 The set includes one pirate minifigure, and assorted survival accessories such as a flintlock pistol, a stick with a fish attached to it, a storage box, a pickaxe, a snake and two gems, one being green and the other one red. Facts about "8397 Pirate Survival"
This page was last edited on 9 February 2019, at 23:08.